October 2015. Oktoberfest with German beer, food and music is so much fun; let´s make the party of the year in Manchester. The Slug And Lettuce, Albert Square, Manchester, M2 5HD. Enjoy the amazing atmosphere at the Manchester Oktoberfest 21-25th October 2015. 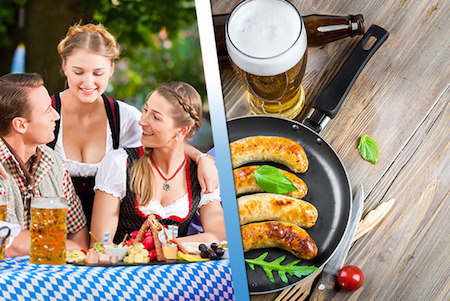 Oktoberfest with German beer, food and music is so much fun; let´s make the party of the year in Manchester. Manchester Oktoberfest will be on Albert Square just in the middle of the city. During a long weekend with five wonderful days we celebrate in a tent with space for 2,000 people. Entrance is free Wednesday. Admission is £5, payable on the day.